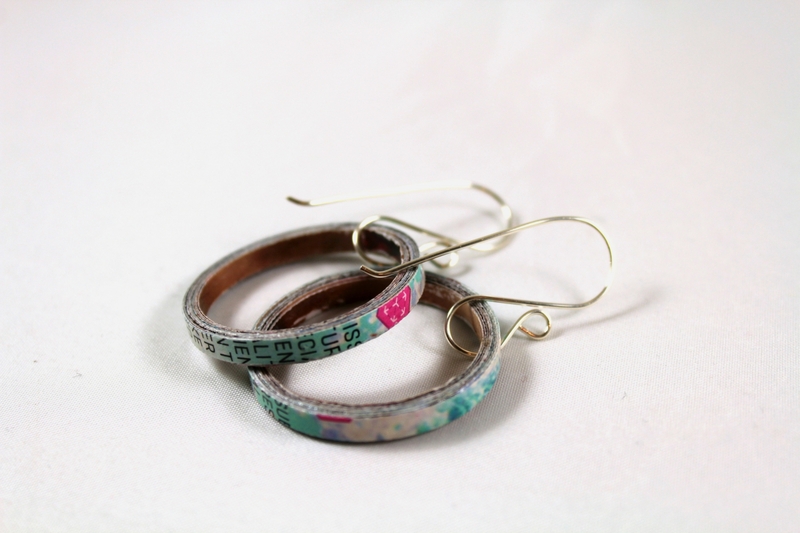 Show mother nature you love her style by flaunting these upcycled paper hoop earrings. 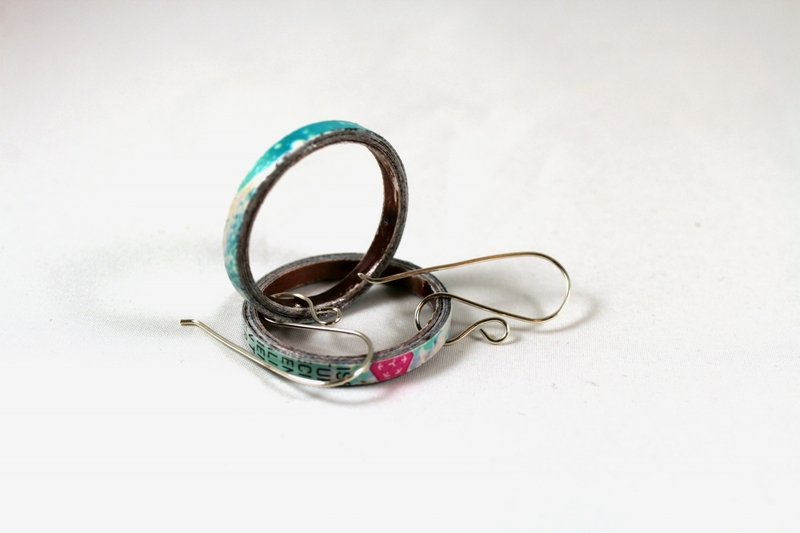 Handcrafted from recycled magazines, these hoops dangle delicately from gorgeous sterling silver artisan earwires. 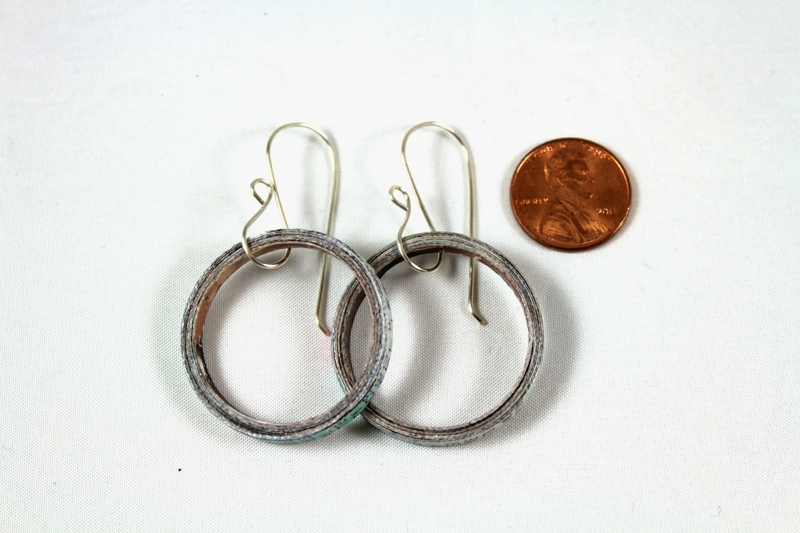 The earrings are made to order and are one of a kind. They are eco-friendly and super lightweight. 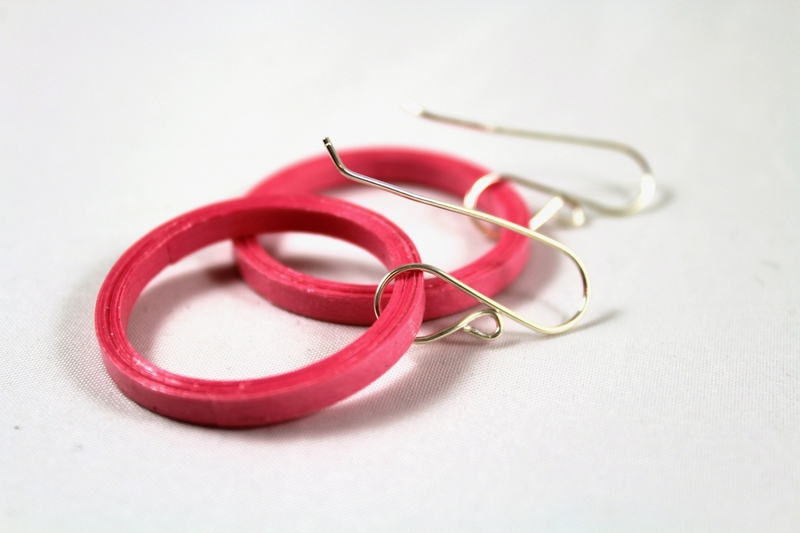 They are also durable and sturdy, each hoop having been hand painted in several layers of sealant making them water resistant and UV resistant. 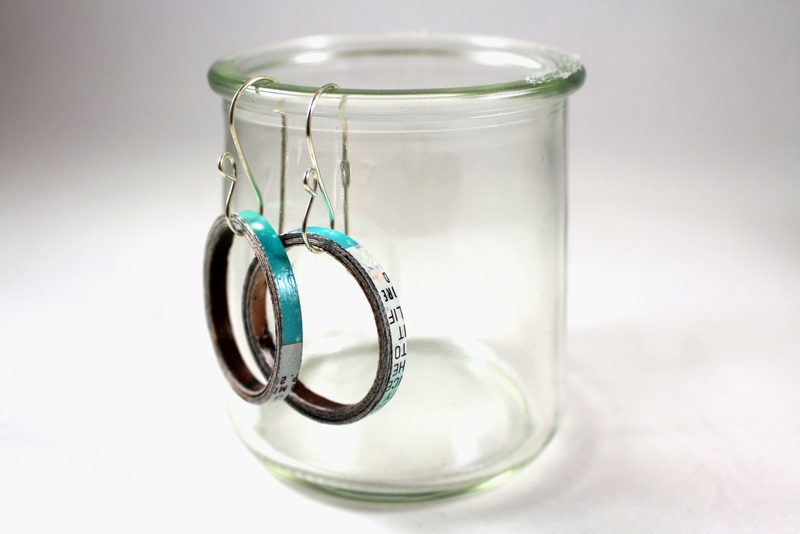 As these hoops are one of a kind, no two pairs are exactly the same but the overall aesthetic will closely resemble what you see in the photo. The magazine paper used was carefully selected to display turquoise with pink highlights but the possibilities are endless! 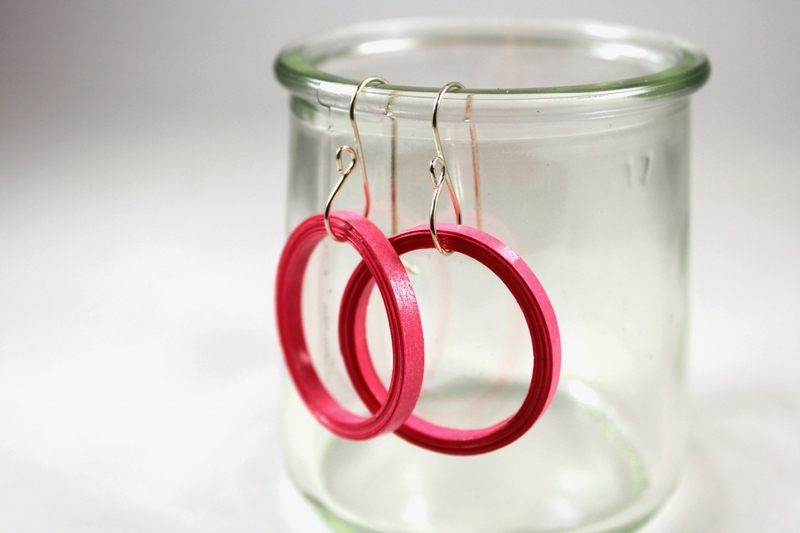 You can also choose from solid colors such as the pink hoops in the additional photographs.